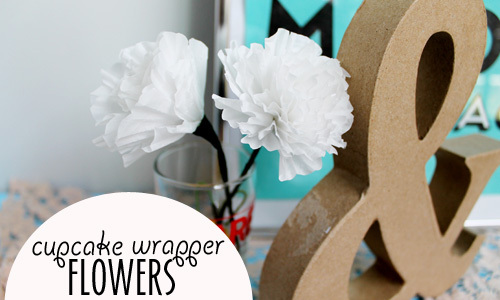 For this project, you'll need Mod Podge, cupcake liners (5 per flower), floral wire, and floral tape. The supermarket sells inexpensive packs of pastel cupcake liners that would be great for this project! 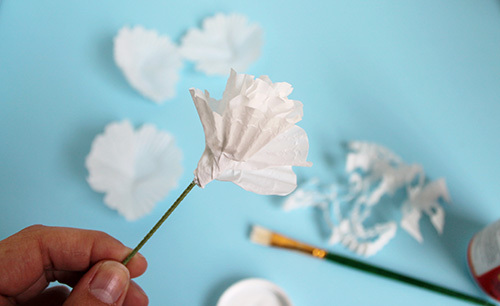 This tutorial is similar to these coffee filter flowers, which has more detailed photos. Take a piece of floral wire and fold the end into a loop. Fold each cupcake liner into fourths. 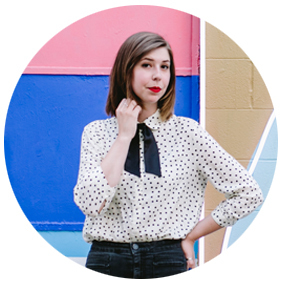 Cut the wide end of the liner into a backwards 3, turning the folded liner into the shape of a heart. Dip the end of the floral wire loop into Mod Podge and shake off any extra. Poke the center of a liner through the floral wire and slide up towards the loop. Twist the liner around the loop and paint a small amount of Mod Podge on the twisted section. Add another liner and repeat with all 5 liners. 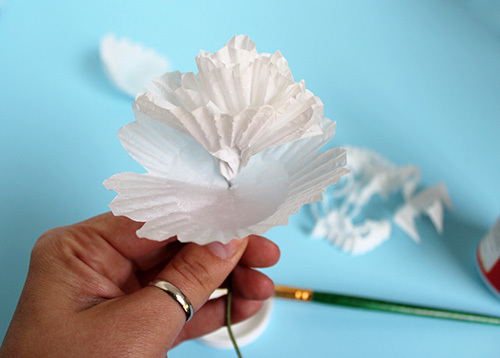 Holding the flower in your hand, begin wrapping the twisted section of the flower with floral tape. The trick with floral tape is to overlap it often, since it sticks to itself. Continue down the wire until you reach your desired stem length. Cut the wire stem to length. Place in a small vase or fun decorative jar. These are perfect for spaces that might not have any windows, like my downstairs bathroom, or to add the effect of fresh flowers without dealing with changing the water or having your pets try to eat them. You could even dye them!